Over the last few months the stock prices of Housing Finance companies (HFCs) have corrected a lot with some of the stocks down more than 40-60%. Even one of our recommendations Can Fin Homes (NSE: CANFINHOME) is down more than 50%; however the beauty of investing in stocks is that despite the stock being down more than 50% from its all time high, it is still up ~800% in 5 years from our recommendation price of Rs 31. 800% in 5 years amounts to 50% annualized return (CAGR) and mind you this is after more than 50% drop in stock price. Basically, it doesn’t take a rocket scientist to understand that investments made during bad times end up delivering humongous returns in long run and 2013 was a bad period just like 2018. Coming back to the moot question, whether is this the right time to have a re-look at housing finance companies? Well, it all depends on the company one is looking at. In our view, retail loan focused companies with strong parentage will probably come out unscathed from the current turmoil. 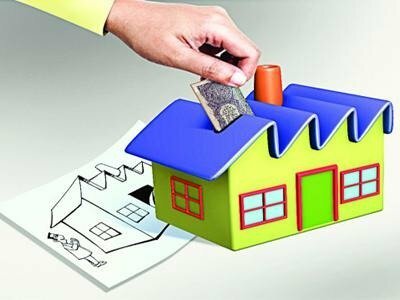 The companies that will probably suffer are the ones that have high quantum of loans to developers because such loans generally have a moratorium period and even though there might be a default brewing it doesn’t normally reflect in the books of the housing finance companies. Strong parentage is another important requisite because that kind of opens up credit line from the banks and it is especially important in the current scenario because the market borrowings (Commercial paper, NCDs, etc) have dried up a bit. As far as Can Fin Homes is concerned, it recently declared its Sep’18 results and as per the management the business continues to be normal for them and unlike some of the other HFCs they are not facing any liquidity issues. They also continue to have very strong credit line from banks. Further, with 90% of the loan book from housing segment and that too largely from LIG (lower income group) and lower MIG segment, they are not facing any major issues on asset quality front. In fact, on sequential basis they have been able to improve their asset quality marginally. Further, going forward the growth in loan book could be better as they are expecting lower run downs in the loan book with other companies facing liquidity issues. Over the last few quarters the competitive intensity had increased substantially with borrowers shifting to other companies offering lower rates; however in the light of the recent liquidity issue with several housing finance companies the management is expecting lower competitive intensity and thereby lower run-downs. Overall, we believe, due to the strong parentage of Canara Bank and focus on retail loans, the company isn’t likely to default; while there could be some margin squeeze in the short term. We also believe that competitive intensity in the industry could go down and better managed companies will emerge stronger. Currently, we have a neutral rating on the stock. We may consider upgrading the stock to positive depending on how the situation pans out over the next few quarters. Disclosure: I hold Can Fin Homes in family account. For a more detailed disclosure, please read below. Analyst Certification: The Analyst certify (ies) that the views expressed herein accurately reflect his (their) personal view(s) about the subject security (ies) and issuer(s) and that no part of his (their) compensation was, is or will be directly or indirectly related to the specific recommendation(s) or views contained in this research report. This report is for the personal information of the authorized recipient and does not construe to be any investment, legal or taxation advice to you. Ekansh Mittal/Mittal Consulting/Katalyst Wealth is not soliciting any action based upon it. This report is not for public distribution and has been furnished to you solely for your information and should not be reproduced or redistributed to any other person in any form. This document is provided for assistance only and is not intended to be and must not alone be taken as the basis for an investment decision. Ekansh Mittal or any of its affiliates or employees shall not be in any way responsible for any loss or damage that may arise to any person from any inadvertent error in the information contained in this report. Neither Ekansh Mittal, nor its employees, agents nor representatives shall be liable for any damages whether direct or indirect, incidental, special or consequential including lost revenue or lost profits that may arise from or in connection with the use of the information. Ekansh Mittal/Mittal Consulting or any of its affiliates or employees do not provide, at any time, any express or implied warranty of any kind, regarding any matter pertaining to this report, including without limitation the implied warranties of merchantability, fitness for a particular purpose, and non-infringement. The recipients of this report should rely on their own investigations. Ekansh Mittal/Mittal Consulting and/or its affiliates and/or employees may have interests/ positions, financial or otherwise in the securities mentioned in this report. Mittal Consulting has incorporated adequate disclosures in this document. This should, however, not be treated as endorsement of the views expressed in the report. We submit that no material disciplinary action has been taken on Ekansh Mittal by any regulatory authority impacting Equity Research Analysis.